I had a lot of spinach. I like soup. And spinach is good for you. So I made up a recipe. Enjoy! Melt butter in pot on medium heat. Add flour until it develops into a paste (a roux)… gradually add milk about a 1/2 cup at a time while whisking out lumps. The mixture should thicken. Mix all the spinach mixture into the milk mixture and heat through. Add seasoning to taste and eat some soup! 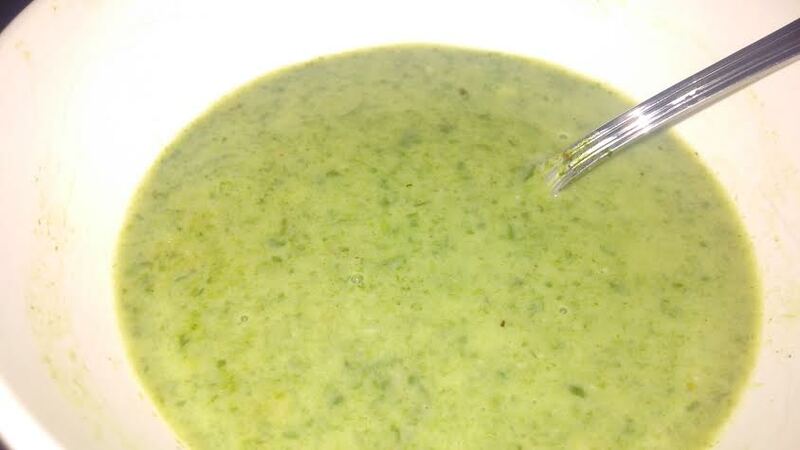 This entry was posted in soups and apps and tagged soup, spinach by Beth Warren. Bookmark the permalink.